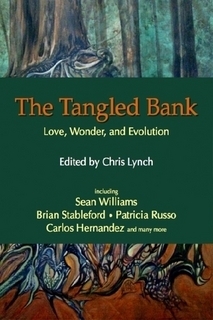 This news is a bit dated but I’ve been meaning to post something about the The Tangled Bank: Love, Wonder, and Evolution. I just love the title of the anthology. Author, poet, and editor Chris Lynch has assembled a wonderful collection of poetry and short stories commemorating and celebrating Charles Darwin. Highly recommended. Right now it is available as an E Publication but I’m told it will be available in print in the future. 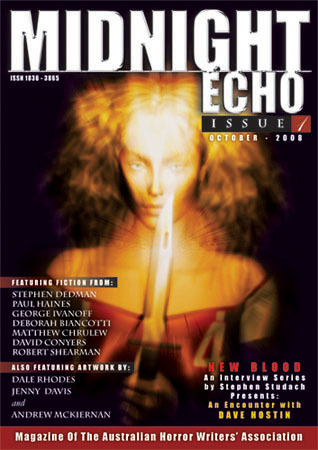 The Australian Horror Writer’s Association publishes a magazine called Midnight Echo: The Magazine of the Australian Horror Writer’s Association. Issue Four was edited by noted author Lee Battersby. One of the goals of the AHWA and the magazine is to promote Australian horror authors internationally. The AHWA website is extensive and has a lot of up to date information. This link goes to the section about Midnight Echo. I’m told it is a nice looking publication. Midnight Echo does not provide contributor copies to the authors but they did send me a pdf document so I could get an idea what it looks like. A recent attempt to locate and secure a copy at World Con failed, so if anyone spots this one in the wild please let me know. I’m curious to see how it all turned out and excited to read the story in the magazine by Christopher Green.